Hens lay eggs. And they’re pretty good at it. Some breeds are better than others, but generally hens are egg-laying machines. There are several reasons why a hen might stop laying eggs. And it seems I’ve been getting that question asked of me more than usual these days, so I thought I’d answer the question here. Hens lay more frequently when they’re under two years of age. Every year their production falls off a bit until they stop laying at all. They come pre-programmed to lay a certain number of eggs in their lifetime. When they’re gone, they’re gone. She could be under the weather and just not up to speed. When she recovers, she should start laying again. Everyone deserves a sick day! Chickens are creatures of habit. If you change things up on them (switch the kind of food you’re feeding them, move them to a new location, add new hens to the flock, etc. ), it might stop them from laying eggs for a period of time. Although some of the already mentioned reasons can cause stress, I’m talking about another classification of stress. Things like harassment from an aggressive dog, or over zealous children that don’t know how to properly handle chickens. That sort of thing. 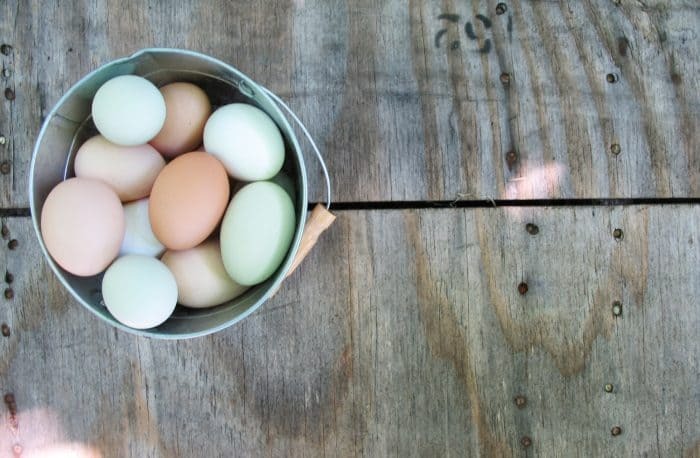 Hens need approximately 16 hours of daylight (real or simulated) to lay eggs at peak performance. Although many breeds of hens have been breed to continue laying through the winter, most slow down and some stop entirely. Many people keep light on in their coop to add enough ‘daylight’ hours to their hen’s lives to keep them laying year round. Most chickens molt annually (lose all their feathers and grow new ones). During this process, her energy is spent growing new feathers and she’ll generally stop laying eggs for a while. It’s too hot (or too cold). Well, face it, when it’s WAY too hot or too cold, we don’t feel like doing much of anything either. Although hens will generally continue to lay in extreme weather, they might slow down or skip especially intense days. 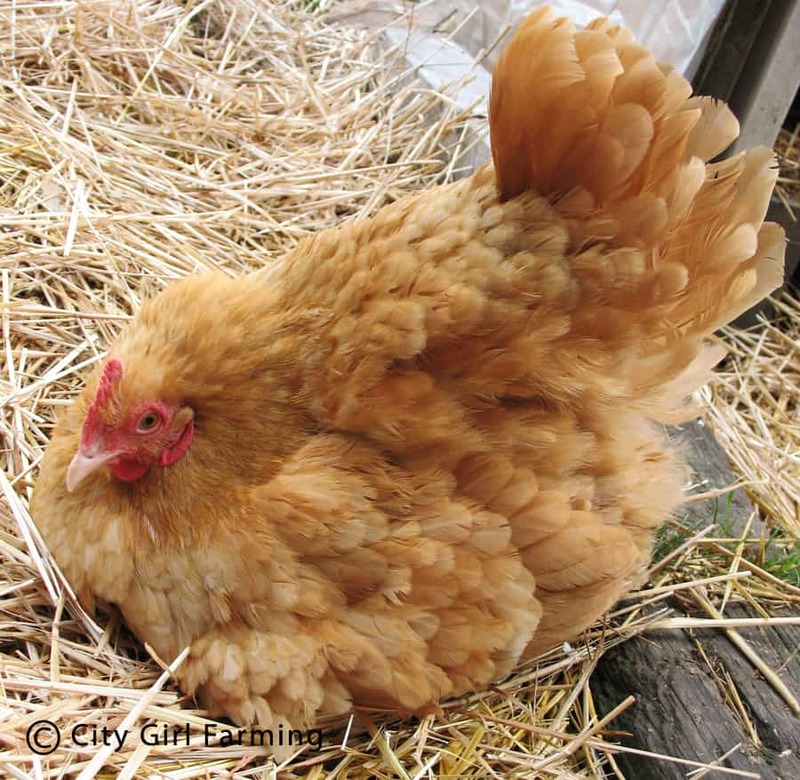 When a hen goes broody (when she sits (or tries to sit) on a clutch of eggs, wanting desperately to hatch them out), she’ll quit laying eggs. Her focus is on sitting on eggs, not laying. She’ll stop laying the whole time she’s broody (or for the 21 days she’s sitting on eggs to hatch), plus, if she hatches chicks, she won’t lay for some time after that as she raises her family. Because of the stop in egg production for broody hens, many hens have had the broodiness breed out of them. She’s lacking something in her diet. The right kind of nutrition is important for hens that are actively producing eggs. Thankfully, you don’t have to be a chicken nutrition expert to get it right. Just make sure you’re buying food specifically for laying hens. And also add some calcium (ie oyster shells) in a dish (separate from the feed as they will eat it when they need to) to help strengthen the egg’s shells. The eggs are being stolen. 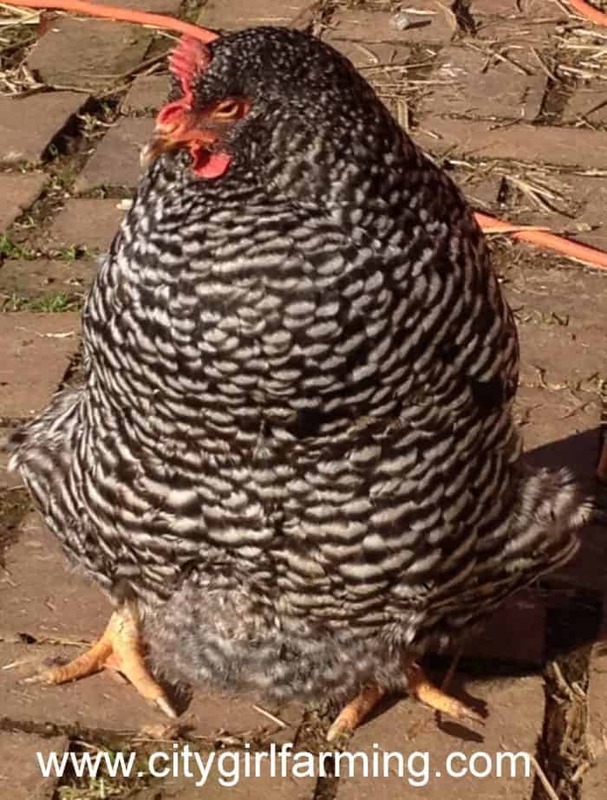 A friend of mine had a broody hen sitting on some fertilized eggs, trying to hatch them out. But they kept disappearing. At first she blamed the hen (or her coop-mates) for the missing eggs. 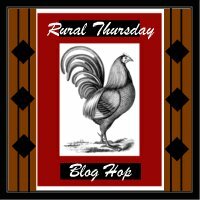 Then, they caught several rats in the coop. After the rats were dealt with, the eggs stopped disappearing. The rats were either eating them or hauling them off somewhere else, but they didn’t leave a single trace of the eggs they stole. Although hens are pretty predictable as to where they lay their eggs, they can pull a fast one on you sometimes. 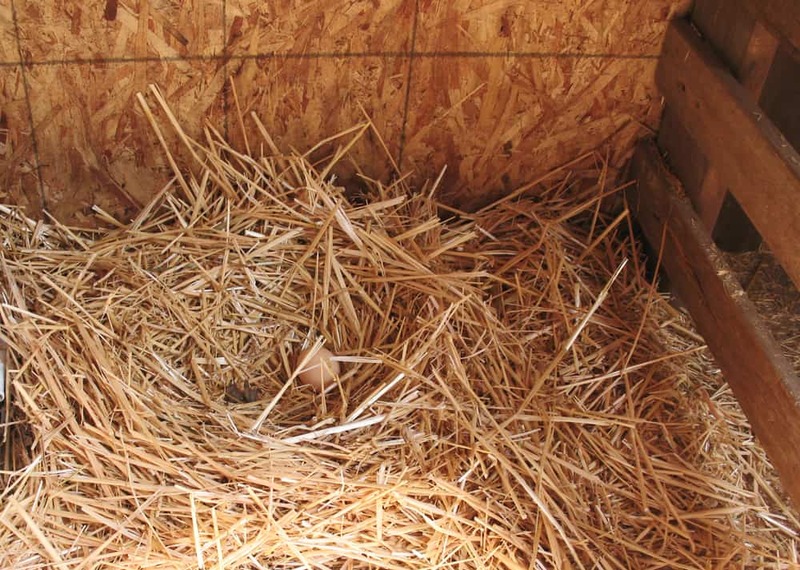 For instance, I’ve found eggs in corners of the chicken run, in the compost bin, under trees, and in the straw loft. Once, when I thought they were really slowing down on their laying, I opened a nest box I thought they NEVER used and found 19 eggs inside! There might be more reasons for egg production coming to a stop that I haven’t thought of here. Keep an eye on your non-laying members of the flock and try to determine which issue might be causing the halt in production. 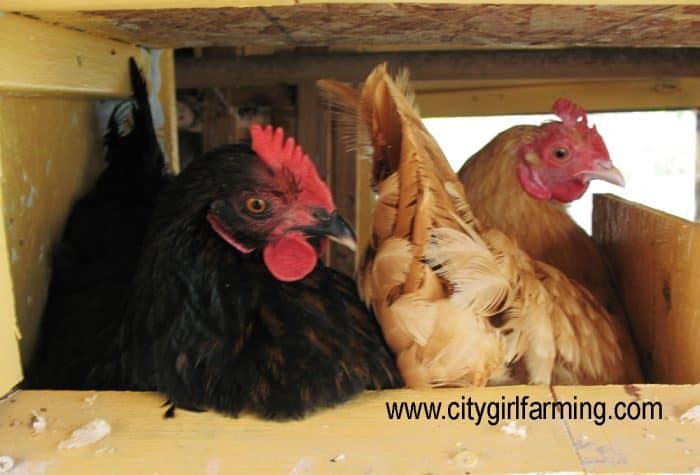 Some reasons are natural life cycle issues that will correct themselves (molting, broodiness, short winter days), others might need your intervention (removing stress, giving proper nutrition or watching for sickness and disease). 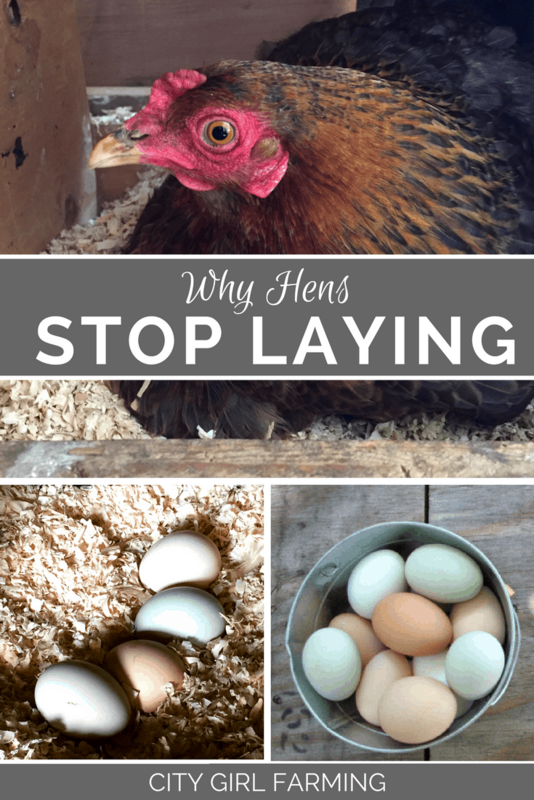 Most reasons for a hen to stop laying (or to slow down) are only temporary. Since there are so many variables involved in egg production (including the breed and lifespan of the hen), it’s hard to nail down how many eggs you can expect from your backyard flock (I’ve heard estimates of as many as 800 eggs for a hen that lives a typical 5 years. ), but most vacations from egg laying are just a normal part of her life and (most likely) nothing to worry about.